Full Force Diesel is a premium online diesel performance shop. Family owned and operated online diesel parts store and repair facility. See the Colt Cams page here! Warren Diesel offers high quality parts at an affordable price. They are doing their best every day to provide the best injectors available in the industry. Rudy's Performance Parts is a leader in diesel performance! See their Colt Cams page here! Diesel Performance Parts offers only the BEST performance products for the Ford Power Stroke, Dodge Cummins and Chevy Duramax Diesel Trucks. PDW specializes in just about all things diesel. Pickup trucks, medium-duty trucks and diesel cars. Ford, GM, Dodge, Sprinter vans, VW TDIs, and more will all find a fix in their shop. Peak Diesel Performance has been one of our longest and most trusted distributors in the diesel world. When it comes to friendly helpful service, it doesn’t get any better. Give Harry a call. We are proud to welcome Source Automotive as one of our new distributors. They stock our new billets as well as exchangeable regrinds. When you're on their site, check out their large selection of light truck diesel performance parts. They can really make your ride Rip it up! Xtreme Diesel Performance, your only true "One-Stop-Shop" for Dodge Cummins, Ford Powerstroke, and Chevy/GMC Duramax diesel performance parts. It's our great pleasure to welcome Ernie, Kim and the crew @ Supreme Diesel as our Alberta Distributors. The crew @ Kerma TDI are our exclusive distributors of the VW PD and ALH new billets in the USA. Check them out! 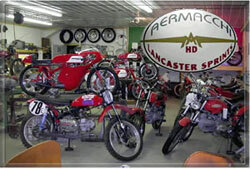 Colt Cams Inc. has worked closely with Aermacchi Lancaster Sprints and is proud to make them our exclusive distributor for all Aermacchi motorcycle cams. Please contact them not only for custom ground exchange cams but also parts and service. 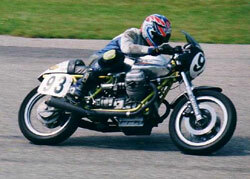 Colt Cams Inc. has worked closely with MG Cycle and is proud to make them our exclusive distributor for all Moto Guzzi cams. 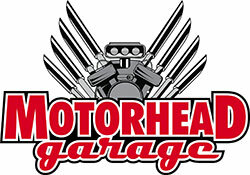 Please contact them not only for custom ground exchange cams but also parts and service. Golden Hawk - Canadian land speed record vehicle. 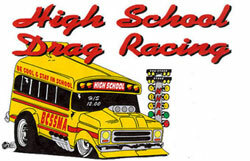 The British Columbia Secondary School Motorsports Association. Through the activities of the Association, students are taught that auto racing can be done in a safe and responsible manner. Colt Cams is a proud sponsor of BCSSMA.